July 29, 2010 - no comments. 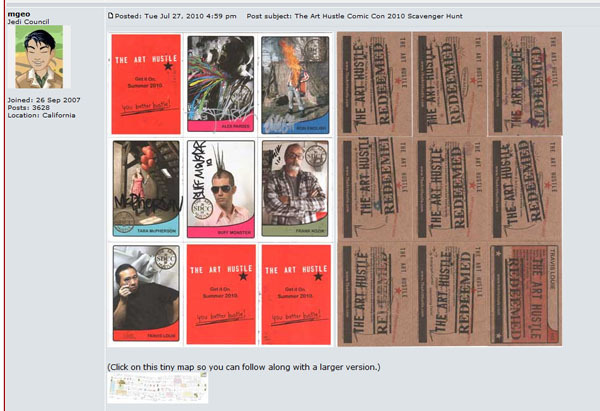 Posted by Larz in Events, The Art Hustle 1. Over on the Scoundrel message board user mgeo chronicles his experience in completing the SDCC scavenger hunt.